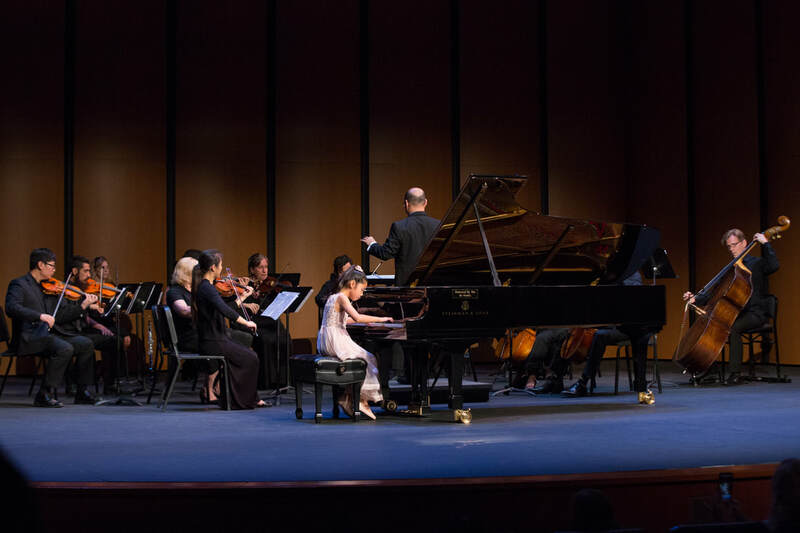 The St. Margaret's Summer Music Festival is led by experienced Teaching Artists who have helped train young musicians in the art of chamber music and solo performance for many decades. It includes members of the St. Margaret's Episcopal School Faculty as well as esteemed guest artists from around the globe. We are also joined each season by world-class guest artists for masterclasses and special performances. ​Through his work with the Community Youth Orchestra of Southern California and numerous K-12 and college music programs in Orange County, Mr. Wie has helped shape the direction of ensemble education in the region for over two decades. A prolific conductor and performer on violin, viola, clarinet, and saxophone, his professional appearances include collaborations in a diverse range of fields including classical and contemporary ensembles as well as musical theater, modern dance, ballet, and electronic music. He recently launched and serves as principal conductor of the California Solisti Chamber Orchestra, and currently directs the Orchestra Program at St. Margaret's Episcopal School where he also teaches AP Computer Science. Mr. Wie earned B.S. Information and Computer Science and M.F.A. Music degrees from the University of California at Irvine. ​Dr. Andrea Garreffa was born in Buenos Aires, Argentina and raised in a musical family. She graduated from the Buenos Aires National Conservatory with the “Highest Academic Achievement” and was awarded a scholarship to study in Germany. She received her Master in Musical Arts at the University of Massachusetts, Amherst where she studied with Estela Olevsky and her Doctor in Musical Arts degree at the University of Arizona, Tucson where she studied with Dr. Paula Fan. She performed as a soloist with orchestras in Germany, Argentina and Uruguay. As a soloist and chamber musician she performed throughout Europe, South America and the United States. She currently directs the Piano Academy at St. Margaret's Episcopal School and serves as a Competition Chair for the California Association of Professional Music Teachers (CAPMT). South African pianist, Stephen Pierce enjoys a multi-faceted career as a performer, pedagogue, scholar, and clinician. He currently teaches piano pedagogy, keyboard literature, and applied piano at the USC Thornton School of Music. Pierce holds degrees in Piano Performance from the University of Cincinnati College Conservatory of Music (CCM), and the University of Pretoria, South Africa, and two licentiates of music from the University of South Africa (UNISA). He has performed in the USA, Canada, Czech Republic, and throughout South Africa, and with artists such as Carol Wincenc, and the flutists of the Los Angeles Philharmonic Orchestra. During his studies in Cincinnati, Pierce performed with the CCM Philharmonia as a result of winning the CCM Piano Concerto Competition. In South Africa, he has performed with orchestras such as the Natal Philharmonic, the National Symphony, and the Chamber Orchestra of South Africa. Mrs. Wie is a prominent string pedagogue in Orange County, and previously appeared as a violin soloist with ensembles throughout the United States and Europe. 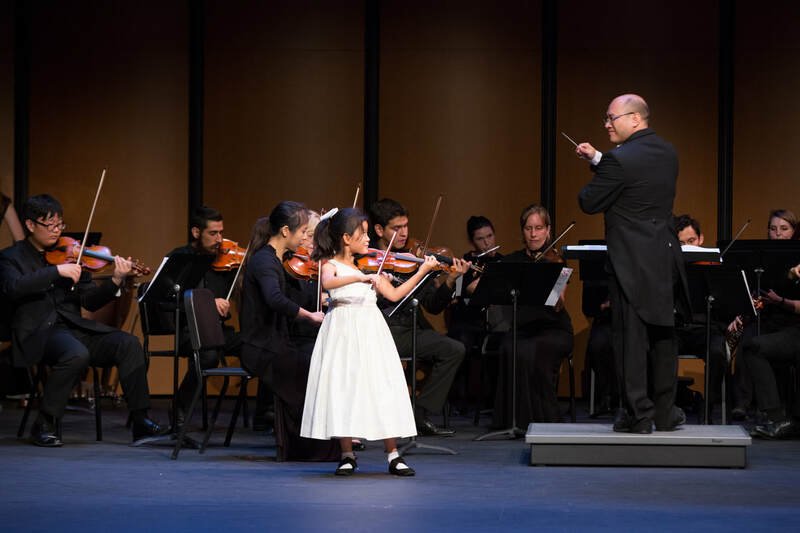 She earned her Bachelor of Music degree in Violin Performance from Cole Conservatory of Music at California State University at Long Beach, where she also completed a California teaching credential in Mathematics. Her extensive pedagogical training includes Suzuki and Dalcroze, and she maintains a private studio of over thirty students in addition to coaching numerous chamber music groups. Mrs. Wie currently serves as Executive Director of the non-profit Community Youth Orchestra of Southern California, and Concertmaster of the California Solisti Chamber Orchestra. Founder and First Violinist of the New York String Quartet, to Director of Chamber Music at the American Conservatory in Fontainebleau, France, William Fitzpatrick has taught many of today’s leading violinists and chamber musicians. He is a graduate of the Juilliard School, where he studied with Ms. Dorothy Delay and was an assistant to both Robert Mann and Claus Adam of the Juilliard String Quartet. Prior to his studies at the Juilliard School, he was a student of Stephen Clapp at the Blair School of Music in Nashville, Tennessee. Founder and Director of MusiShare, Inc. and the MusiShare Young Artists Program, he is currently the Artist-in-Residence and Temianka Professor of Violin at Chapman University in Orange, CA. A graduate of Rice University and Vanderbilt University, Mr. Tilton has been privileged to perform under some of the world's leading conductors, including James Levine, Bernard Haitink, André Previn, Sir Andrew Davis, Raphael Frühbeck de Bergos, Oliver Knussen, Herbert Bloomstedt and John Williams. He has also played in master classes for several esteemed artists, such as Yo-Yo Ma, Ronald Leonard, Richard Aaron, Joseph Silverstein, Lynn Harrell and members of the Juilliard, Cleveland, Orion, Turtle Island and Emerson String Quartets. Outside of the classical music scene, he has performed with popular artists such as Brian McKnight, Quincy Jones, Bobby McFerrin, Ricky Skaggs and Josh Groban. Mrs. Franke is a devoted teacher of young musicians who has brought the joy of music to students of all ages in a career spanning over four decades in the United States. Having studied with the legendary Shinichi Suzuki in Japan, her lifelong work as an educator is defined by an empathetic and nurturing approach that creates wonderful human beings as well as proficient musicians. She is the Founder and Director of the South Valley Suzuki String Academy, through which she offers private lessons and group classes in the world-renowned Suzuki Method, and President of its partner non-profit, the South Valley Suzuki Music Foundation which provides scholarships for long-term music education opportunities that empower disadvantaged youth. She has led ensembles throughout the northern hemisphere in Friendship Tours to Canada, Hungary, England, Austria, Germany, and the Azores. Learning to perform in front of an orchestra is a challenge for any young musician. 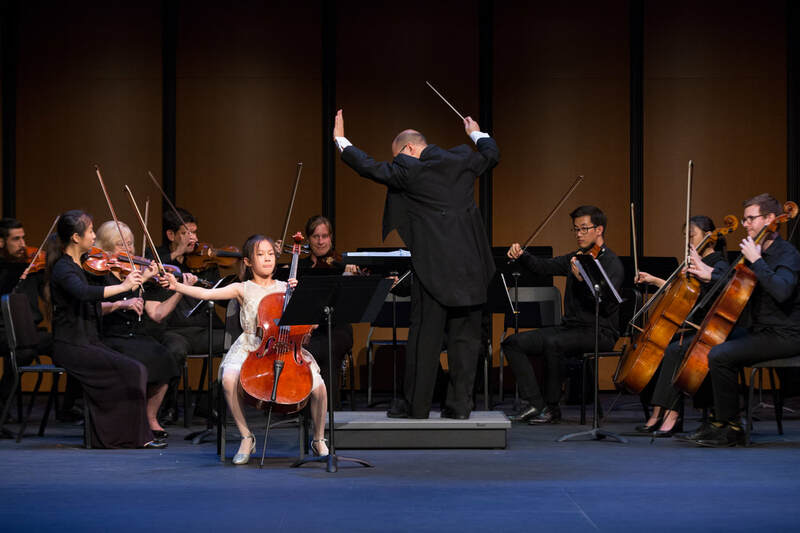 In order to provide the best possible support for our student soloists, we are pleased to welcome the California Solisti Chamber Orchestra as our 2019 ensemble-in-residence. The ensemble is made up entirely of professional music teachers! ​Under the baton of Music Director Gene Wie, the California Solisti rehearses with student soloists throughout the week, providing a depth and breadth of ensemble collaboration with these performers that makes our program relatively unique in this regard. Of particular note is our familiarity with the repertoire, of which major concertos we have performed repeatedly year-after-year, yet with different interpretive approaches to carefully match the spirit and style of the soloists. The result is a level of consistency with concerto pairings that is not usually found in community or school ensembles.